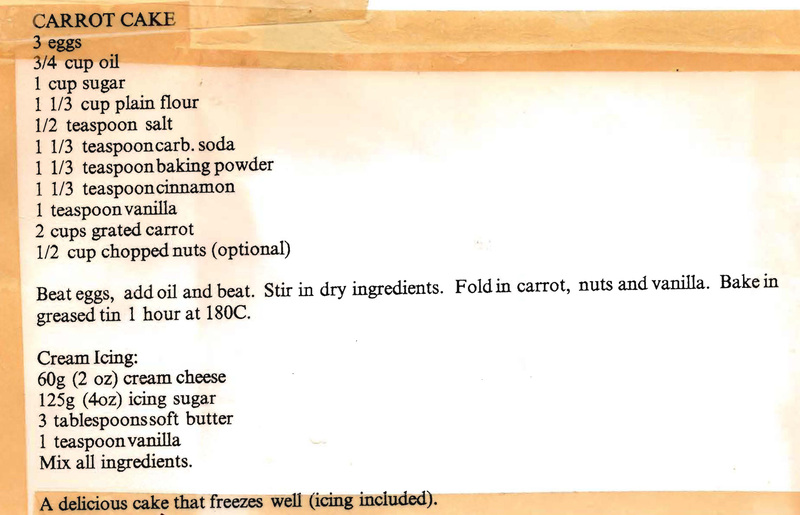 I’m yet to find a better Carrot Cake recipe than this one (including in Mum’s collection). I’ve been making it for years. It’s quick and easy to make, lovely and moist, but the best bit is the icing, it’s terrific. To be honest I think I mainly make it for the icing…………. This entry was posted in All Recipes, Biscuits & Slices, Uncategorized and tagged 1980s, carrot cake, carrot cake with cream cheese icing by bebsrecipes. Bookmark the permalink.